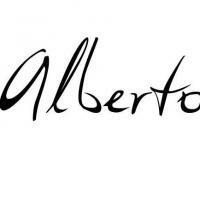 albertocosta had the most liked content! What do you mean by Cloaking? The cloaking or concealment is a technique called black-hat because it violates the quality guidelines for webmasters of Google in which you specify your robot or spider should always access the exact same content that users can see when they visit the website. What are h1 and h2 headings..? H1 is a label used to place the phrase that indicates the content title of a web page. The H2 label is an element similar to H1, which indicates important titles for subsections of the current web document. The AMP (Accelerated Mobile Page) page format proposed by Google is an open source mobile page format designed to speed up the display of pages on smartphones. The saving of time in the display is obtained by the fact that the change to the AMP format alleviates the pages by eliminating certain elements or unwanted codes and by the fact that once recognized as being in the AMP format, the pages are cached by Google and redistributed through a CDN. A pingback is a process in which a blogger posts a comment in response to an article from another blogger, but the comment is not sent directly. In fact, the comment is posted as a new article on the site of the blogger, so that its subscribers can see the effectiveness of the article through comments. This is a great tool for WordPress users, as they can comment on an article, and thus increase the popularity of the other blogger's blog through sharing done between their subscribers. What is Google sandbox in SEO? The Google Sandbox is a special treatment of the algorithm which concerns especially the sites being "born". There are many theories about the sandbox, but these are mostly fantasies because no one really knows how the Google algorithm works. However, according to many testimonials and feedback, it seems that the Google Sandbox mainly affects newly created sites. It seems that this filter serves as a "test" to the algorithm to judge the relevance of a site. Difference between inbound and outbound links? Social Media Marketing (SMM) ? Social media marketing (SMM) is a form of Internet marketing that utilizes social networking websites as a marketing tool. The goal of SMM is to produce content that users will share with their social network to help a company increase brand exposure and broaden customer reach. One of the key components of SMM is social media optimization (SMO). Like search engine optimization (SEO), SMO is a strategy for drawing new and unique visitors to a website. SMO can be done two ways: adding social media links to content, such as RSS feeds and sharing buttons -- or promoting activity through social media by updating statuses or tweets, or blog posts. PPC is an acronym used to refer to the pay-per click or pay-per-click model in effect for certain types of digital marketing campaigns. The term PPC generally refers to Ad Words-type ad campaigns. The principle of CPP can be applied to other modes of visibility related to performance marketing such as affiliation , presence on comparators or even the advertising retargeting that is most often billed by click.